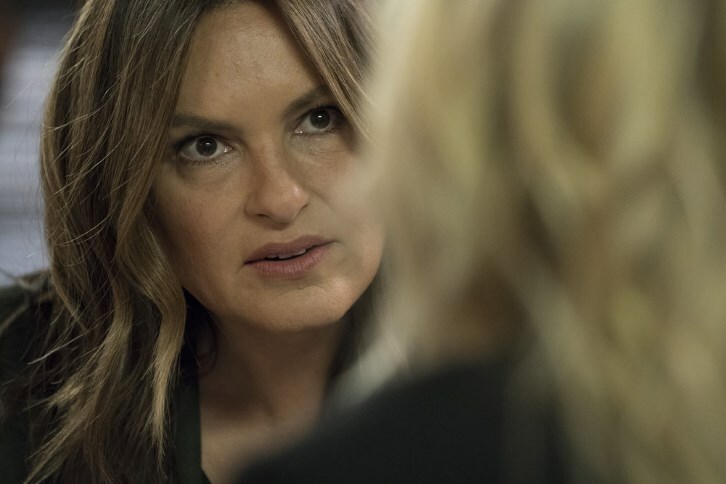 04/11/2019 (10:00PM - 11:00PM) (Thursday) : Benson (Mariska Hargitay) works to uncover a pregnant teenager's secret when she refuses to name the baby's father. Also starring Kelli Giddish, Peter Scanavino and Philip Winchester. Guest starring Derek Cecil (Garrett Howard), Eowyn Young (Mackenzie Tolliver), JD Taylor (Quentin Dreyfus), Richard Prioleau (John Woodward) and Pamela Mitchell (Penelope Archer).